This article details a recent study of orangutans in Borneo, and the dietary implications of being dependent on ripening fruits. Sasquatches obviously utilize the bounty of ripening berries and other forest fruits in their diet, most of which are ripening right before the onset of winter, the toughest time for survival. Like bears, it makes sense that sasquatches would put on as much weight as possible during this time for the lean winter months ahead. But how do they deal with the lack of food throughout the winter? Of course, orangutans are pretty much solely herbivores, while sasquatches are clearly omnivores. Still, when one considers the close biological relationship between orangutans, humans, and sasquatches, it makes sense to see how the other great apes make their livings in the world. While bigfoots are efficient predators and would clearly have it easier than herbivorous orangutans as far as getting protein in their diet, perhaps there's something to learn, or some insight to be gleaned, from this article. bark and their own body-fat reserves and muscle. Orangutans in Borneo can survive potential starvation by using their body fat and muscles as energy until a bounty of food is available, researchers find, adding that the results may someday shed light on the eating habits of our earliest ancestors. The findings may also speak to various low-carb, high-protein diets, because essentially weight comes down to caloric intake for these orangutans as it does us, the researchers say. In Borneo, an island in Southeast Asia, forests go through periods of high fruit yield, where around 80 percent or more of the plants will produce fruit all at once. Following these "masting" periods, the forests endure stretches of sparse fruit availability that can last anywhere from two to eight years. To survive in this unpredictable environment, orangutans put on fat by gorging on fruits when they're available, and then live off of these reserves until the next masting year. Researchers have now learned that the orangutans start to metabolize their own muscles for protein after these fat reserves are gone. Read the rest of the article on www.livescience.com here. 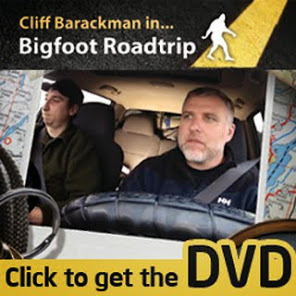 I'm glad to see people making correlations, considering the environment of similar creatures and then plug in the same tendencies for Bigfoot in his environment. I have my own theory that Bigfoot is a "berry crack whore" but like other primates and humans, overripe berries give you a buzz and that's something all hominids seem to appreciate. BF should be seen more when berries are overly ripe because of taking more risks to get to berries which more often grow along roadways and paths where ground is disrupted and they'll be seen more also because they will be a bit buzzed and loose with their defenses. In fact, following a path of overly ripe berries along the US, one should be able to follow his very routes if he is nomadic. Just like man being found near a fast food restaurant, we just have to ask where BF is getting his huge calorie needs met. @Autumnforest I am a big fan of your berry crack theory! @Cliff would love to read more primate comparisons. Great post! Bringing a Baboon Bigfooting? Yep. Finding Bigfoot - The Game!